Course for IIT JEE with validity of 1 year. Video lectures of Physics, Chemistry and Math by experts. This course for PCM contains 11th class syllabus and is valid for 1 year. It helps target CBSE board exams and other entrance exams like IIT JEE Mains and IIT JEE Advanced with equal ease. The adaptive learning is made using artificial intelligence to boost retention and revision. High definition visualization techniques help in exam preparations like IIT JEE and CBSE boards. 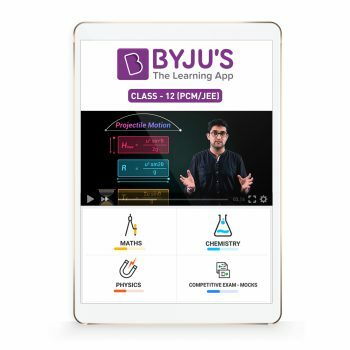 Made by IITians this course is everything you need for your JEE and Board exam preparations. Also, this has been done using NCERT and other preferred reference books, so this is the complete study material one requires to ace the JEE exams.